Using herbs in beef vegetable soup can boost the flavor without adding unnecessary sodium. Choose different herbs to create a soup with different character. Herbs like basil, oregano and rosemary add an Italian spin to the soup, while bay leaf or thyme give beef vegetable soup a hearty, traditional flavor. You can find rosemary either fresh, dried or ground, but go for the fresh stuff whenever possible. You can either chop it and add it to the soup, or put a whole sprig in to simmer and remove it before serving. 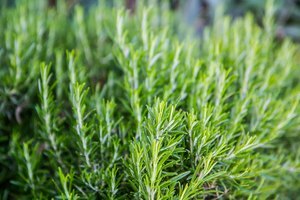 Rosemary has a piney flavor, so start by using a small amount, such as 1 tsp., and add more if you like the flavor. It works well when paired with garlic. Basil and oregano are often paired together in Italian dishes, and they also complement each other well in a beef vegetable soup. Fresh basil has a much better flavor than dried, so use it whenever possible. 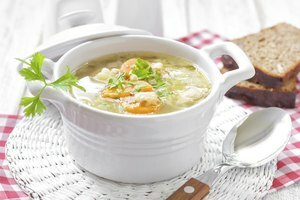 Oregano has good flavor whether you use fresh or dried; however, add it to the soup near the end of cooking because the flavor diminishes with heat. Bay leaves are from the bay laurel tree that grows in the Mediterranean. 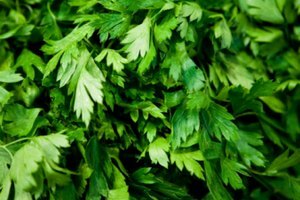 They're commonly used in traditional, hearty dishes, such as stews, sauces and soups. The leaves themselves are hard and bitter, but they impart a pungent taste when simmered. Remove the bay leaf before serving -- it's not edible. Thyme adds a subtle, slightly minty flavor to beef vegetable soup. Like oregano, it can be used either fresh or dried, and should be added toward the end of cooking so its delicate flavor isn't overwhelmed by the heat. To add another dimension to the soup, try one of the many varieties of thyme with different flavors, such as lemon or lavender.